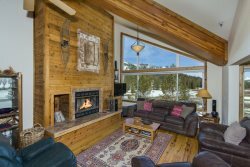 Pyramid Peak Properties has an extensive inventory of Kirkwood vacation rentals. We offer true Ski-In/Ski-Out, pet friendly, and long-term ski leases in this popular area. Choose from Kirkwood Mountain Resort vacation lodging including alpine or Nordic skiing. You can also select from over 60 cabins, condos, and homes. The Kirkwood ski resort is home to some of the best snow in the west, so take your family, friends, and even your pets to the slopes. * Base elevation 7,900 feet. * 14 lifts. * 2,300 skiable acres. * 65 designated trails. * Cross Country Nordic Center. * Wonderful summer hikes and wildflowers. * 20 lakes within 5 miles. * No hustle and bustle. You can find all of our available Kirkwood Mountain Resort lodging below. Interested in learning more about the Kirkwood ski resort? Click here.